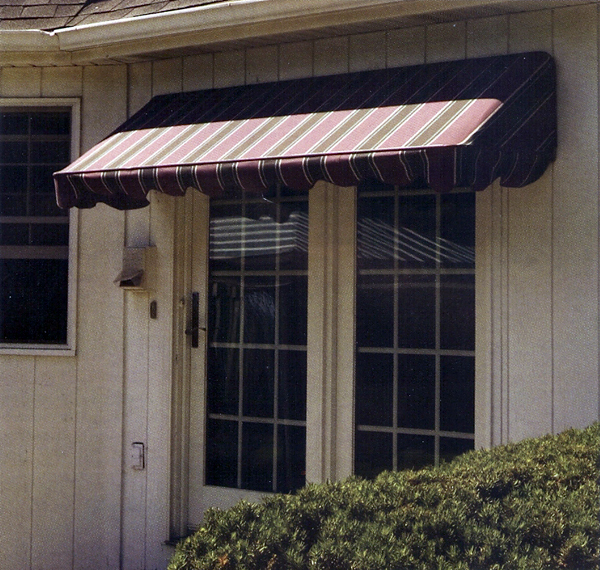 Patio canopies designed with Sunbrella awning canvas in your choice of over 150 different colors and patterns. These patio canopies are styled to enhance your outdoor living space while at the same time protecting your home and interior furniture from sun fading and the sun's direct rays. You will find that not only will these beautiful patio canopies accent your home but can help reduce your homes cooling bills as well as increase your homes value. As an added bonus you will be able to enjoy some additional outdoor living space when it's hot, bright and sunny and still remain protected and much cooler than if there was no patio canopy. You are bound to enjoy this area more as will your favorite pet who will not only be protected from the sun but will now be able to stay a whole lot drier on those rainy days.